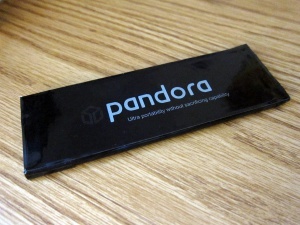 silkprint, battery label, version label etc. All files and documents within this ZIP archive are free for any use (commercial and non-commercial). You can do with them whatever you want - but you have to include the original ownership of them. 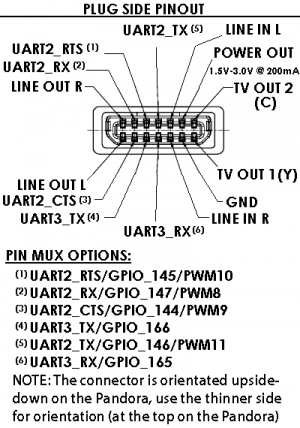 Here's a list of pinouts for the various connectors and boards. 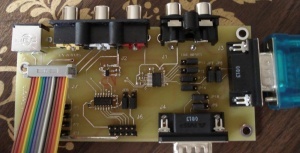 The UART lines can also be used as GPIO (six of them) and PWM lines (four of them). LED7 and LED8 can be added. You need to add FETs (Q17 and Q18) and resistors (R165, R166, R167 and R168) See the official "Pandora Hacker Guide" from Michael Weston for more details and component values. This page was last edited on 19 February 2015, at 20:10.